Time to get out there and get some gaming in. What kind of gaming? Doesn't really matter, as long as you're out there having fun. But if you're really stuck for a game idea, perhaps these reviews can help. Today we've got: Darwin's Choice, Star Wars: Rebellion, Majesty: For the Realm, Time Barons, Herbalism, Feudum, Cabooses in the Corner, Seikatsu, and Guards of Atlantis. theMCGuiRE review takes a look at Darwin's Choice a brand new game currently on kickstarter from Treeceratops. In this title you get to build, mutate, and migrate new species through ever changing environments and climate events. The strongest and most adaptable will survive! Fun, lite, and engaging game of species survival. check it out on kickstarter now! In this video I will teach you how to play including: Components,Setup, Assignment phase, Command phase, Refresh phase, and additional game mechanics. I will also give you my thoughts and opinions on the game, and would love to hear yours. Each player starts with an identical set of 8 locations in combinations that can vary from game to game. The locations each correspond to a character type, such as witches, millers, or nobility, and are activated whenever that character type is drafted by a player. Locations usually provide points to players based on the numbers and combinations of various characters. For instance, the Mill awards two points per miller a player has when it’s activated, while the Cottage awards two points per brewer, witch, and guard a player has in their layout. Some location powers provide points to any player with a particular character, and some have special abilities like attacking your opponents, protecting you from attack, or healing your wounded. While Time Barons can play with 2-4 players, we’ll be looking the main, 2 player ruleset. During the game, each player draws from four shared technology decks and starts with a Homeland card in play. Herbalism – the study of botany and use of plants for medicinal purposes. In Herbalism, you are an amateur herbalist, hoping to find the combination of herbs that will cure the terrible plague that has befallen your country. 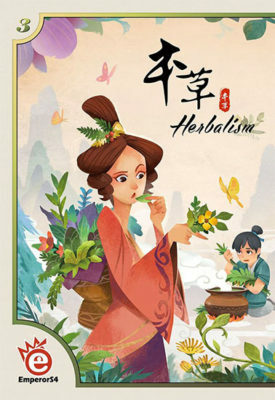 The first in a series of games Deep Water Games is distributing for EmporerS4, Herbalism incorporates Chinese medicine and lore into a beautiful little deduction game. Herbalism is a deduction game for 3-4 that takes about 15-20 mins to player. 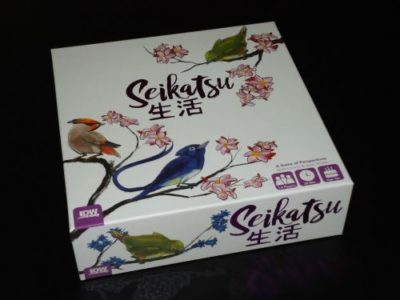 It plays best with four players. Board game complexity comes in a lot of flavors. There are complex rules that are just hard to understand. There are complex scoring systems that make it difficult to understand what you are trying to actually accomplish. And then there is the complexity in Feudum, which has a lot of individually simple rules, but the sum of its parts and the lack of direction make actually playing the game difficult. So the question is if Feudum is the type of game that is worth your investment in time and brain power? 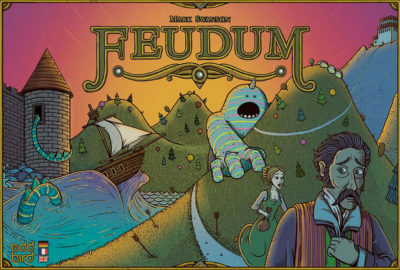 Feudum is an area control and action selection game for 2-5 players. 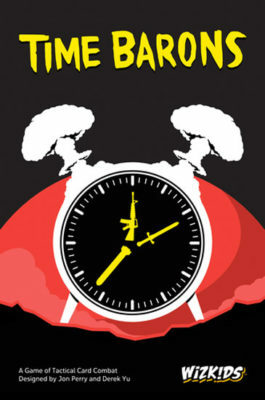 It plays in about 2-3 hours. 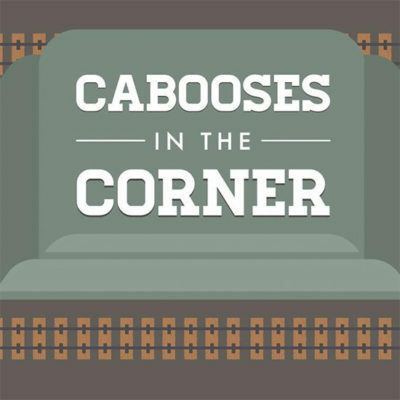 Gamers on this light end of the spectrum should take a look at Cabooses in the Corner, independently published through The Game Crafter. It’s a light train themed card game for 2-6 players. 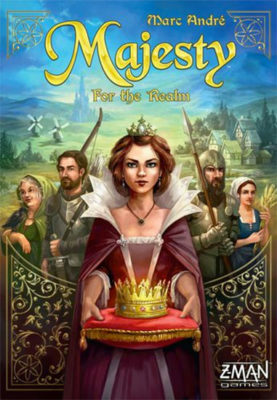 With a playtime that maxes out at 30 minutes (if it’s longer, there’s something wrong), it fits neatly as both a filler and multi-game beer and pretzels evening offering. There are times where you make a fabulous choice and can't help but wonder how lucky you got. Sadly, sometimes there are decisions in life that come back to haunt you. Given that I'm writing a board game review and I've (somehow) got a reputation for being "a bit miserable", I'll let you figure out which way this particular decision went for me. I'm not sure if Steve does this deliberately, but I always end up reviewing the video game conversions here in Polyhedron Collider Towers. I'm not complaining, I love both cardboard and pixel gaming, but being the paranoid type I'm convinced it's all a conspiracy on his part, that Welsh diabolic maniac. "What is all this bleating about?" you may be wondering. Well it's fluff around Guards of Atlantis, a tabletop MOBA (Multiplayer Online Battle Arena) from Wolff Designa. Having played a couple of MOBAs in my time (Demigod was my favourite, although I won't claim to be any good at it) I'm familiar with the concept. Transferring the idea to tabletop was an interesting move so I was curious to see how it pans out and thus we arrive at my aforementioned decision. Renegade Game Studio Announces Clank! In! Space! Apocalypse!